If you are a meet director and know the date of your meet during the spring Track and Field season, please post your meet and date in the comment section below. 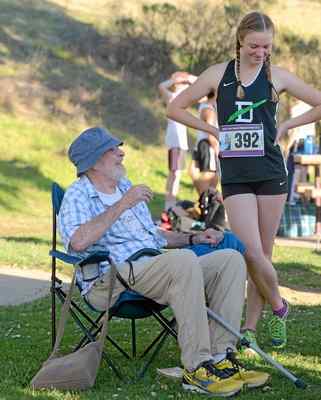 A NorCal coach inquired about meets that have shuttle hurdle races. 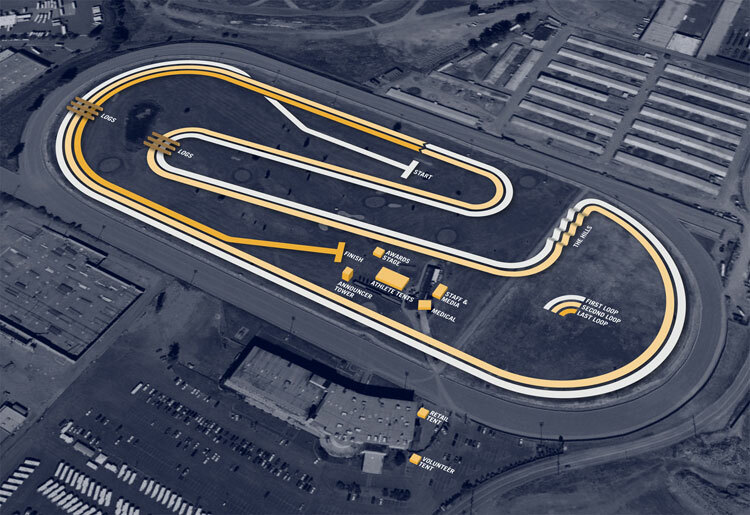 Please let us know what meets in Northern California have that race on their schedule. 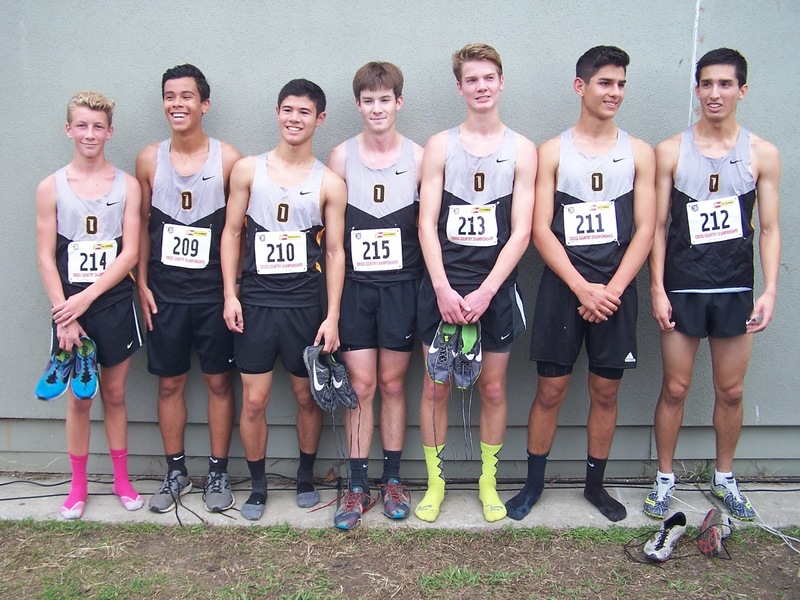 If you have enjoyed the pre-season, season and section Cross Country coverage on this website this past summer and current season, a kind donation would be appreciated. You can do so at the link to the right via PayPal. Thank you to all of you that have contributed already. It's very much appreciated. Those of you that can't donate or feel no reason to donate, no problem. I will always appreciate your frequent visits to this site. Just a few notes off the top of my head. Feel free to add more below. 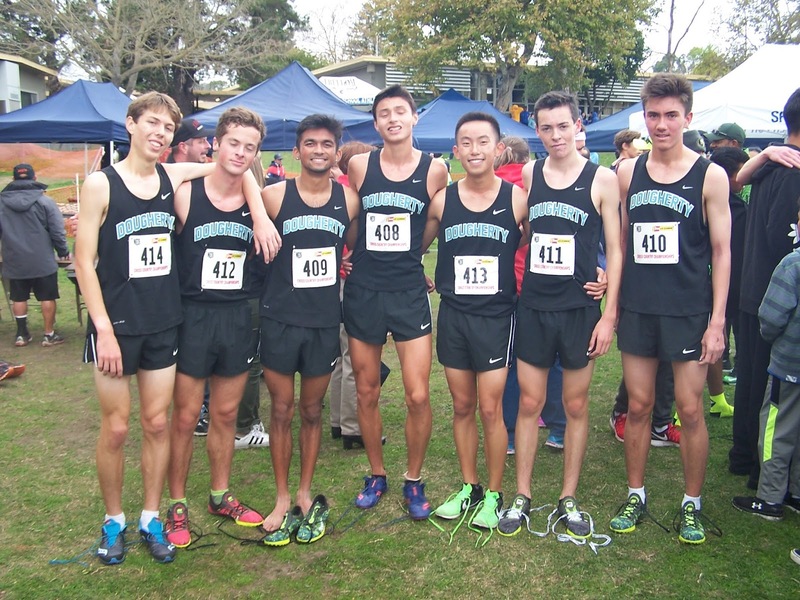 NorCal boys (Luis Grijalva, Michael Vernau and Meika B-R) take top 3 spots in Division I race. I am sure that has never happened before. 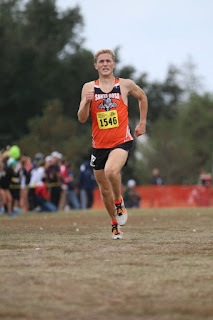 Redwood sophomore Liam Anderson has fastest sophomore time of the day with his 15:05.3. St. Joseph Notre Dame won both individual titles in Division V races. I will have to look to see how many teammates have won individual titles in the same season. Olivia O'Keeffe winning Division I after her sister Fiona O'Keeffe won in 2013 and 2014. 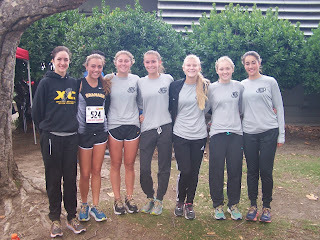 Any other siblings have won individual titles in XC? 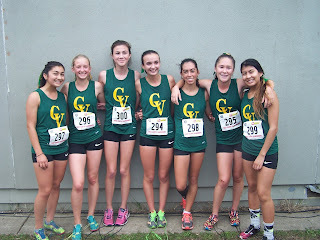 Nueva girls, first time eligible for CIF competition, finish in 3rd place in Division V race. 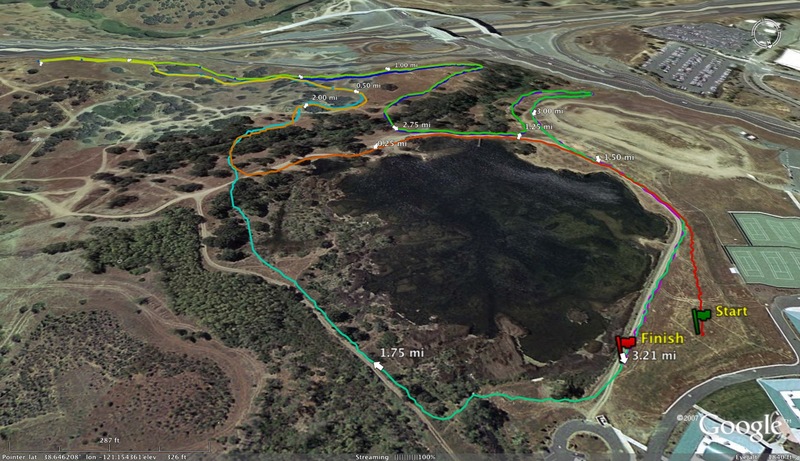 Not NorCal but Claudia Lane becoming the 3rd fastest runner on the course trailing Sarah Baxter (twice) and Julia Stamps (once) with a time of 16:45.0. 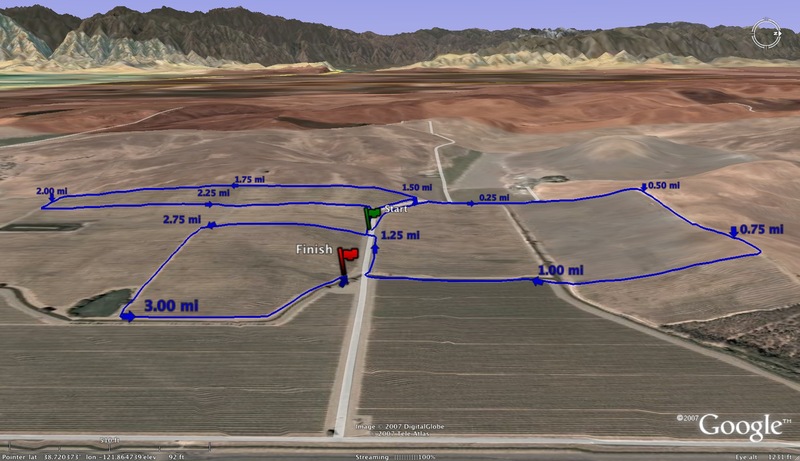 The course record is 16:40 by Sarah Baxter. I will post all the NorCal podium individuals when I get a moment. Feel free to add to my list above in the comment section below. The moment we have all been waiting for is here. You can get live results from today's meet at the link below. You can also get live updates on your phone. Directions on same page. If you have any updates that you would like to post, feel free to do it in the comment section below. 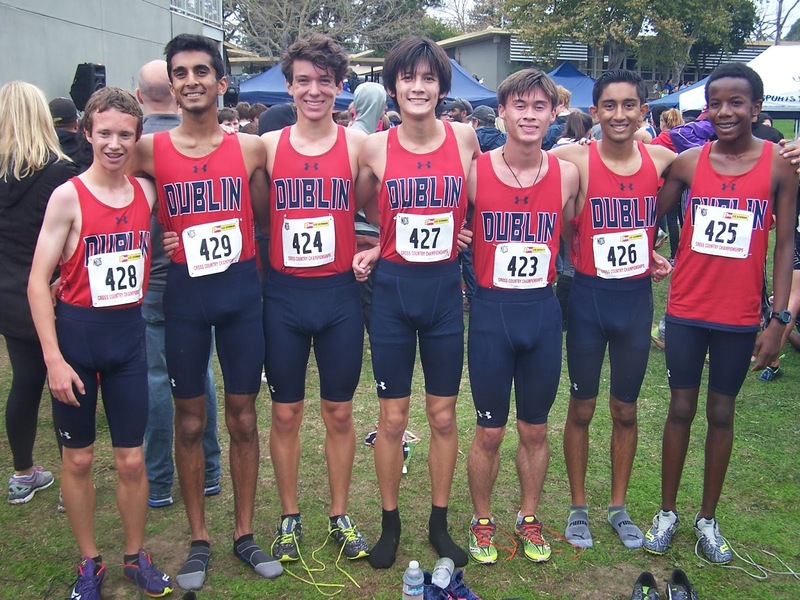 Following the meet, I will post my usual data with the top NorCal teams and individuals as well as all the podium finishers. Best of luck to all competing schools today. As we approach hump day before the California State meet, check out all the leading contenders from Northern California that will compete this Saturday. 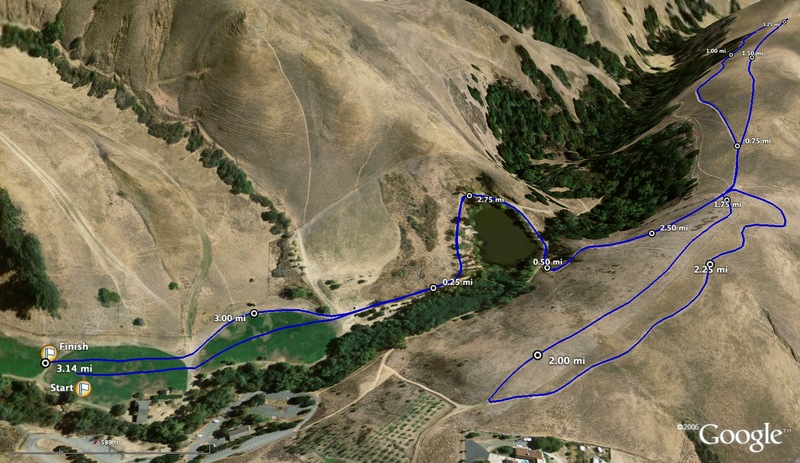 Feel free to comment below on who you feel will have an opportunity to podium and/or take state meet titles at Woodward Park. If you disagree with my selection, feel free to post your own contender and their accolades. 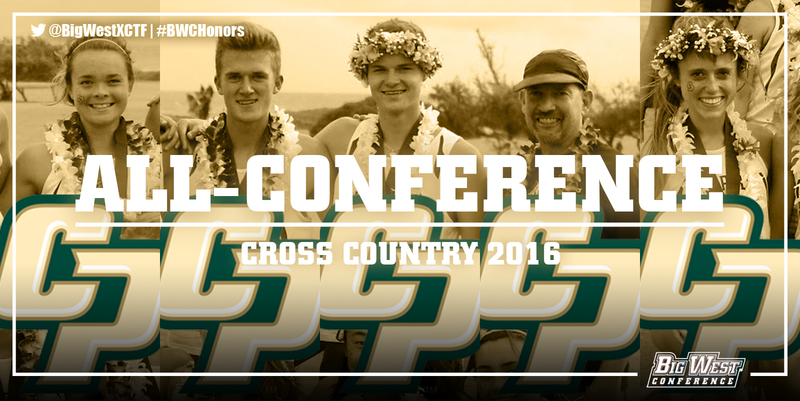 Congratulations to the following NorCal coaches who each received a CIF Model Coaches award. You can view the entire list at this LINK. 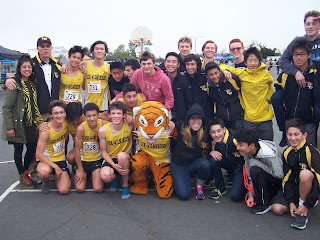 Sylvia Goodman (Tamalpais High School) Cross CountryGoodman is the cross country coach at Tamalpais High School. Her positive/transformational coaching style has led to the development over the years of dozens of athletes into competitors in the best sense of the word. She is tireless in her efforts to create a team out of a wide range of athletes: from the inexperienced to the elite, and she deftly and sensitively “threads the needle” between coaching her strongest athletes and her weakest, bringing out the best in everyone, both individually and as a team. Goodman teaches her student-athletes how to balance commitment with fun, how to mix tenacity and a drive to win with respect and sportsmanship, and how to take joy in the process of learning and growing. 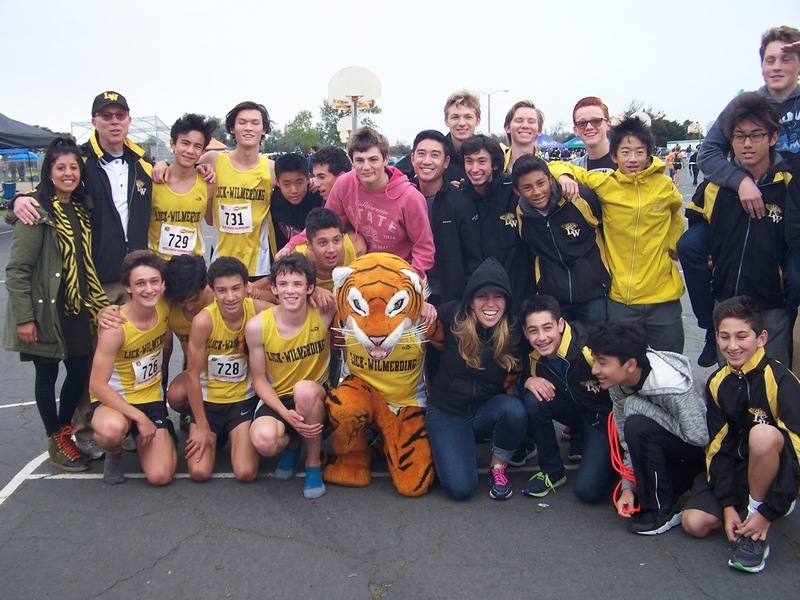 Kay Nekota (Vacaville High School) Cross Country/Girls Basketball/Track& FieldNekota has served as the head cross country coach and co-head track & field coach for the past 10 years at Vacaville High School and assisting a year with the girls basketball program. Additionally, she is also a P.E. and math teacher and the school Athletic Director. Nekota has a gift for empowering each of the students she has contact with as she consciously makes the time to ensure each student feels appreciated and valued allowing them to reach their maximum potential. She wants her student-athletes to understand the importance and lessons that athletics provides, but also empowers them to use their position in the community to help others. Coach Nekota is truly inspirational. She raises the expectations of those she comes in contact with while giving them the necessary tools to achieve their dreams. Eliot Smith (Lick-Wilmerding High School) BasketballSmith is the Athletic Director and Head Basketball Coach at Lick Wilmerding High School. His positive attitude is infectious and you can’t help but break out in a smile when he greets you. He demonstrates and defines the qualities of an exceptional professional whose character and commitment to his student-athletes exemplifies all that a coach should be every day, an outstanding role model. Coach Smith is gifted as an outstanding motivational speaker, encourager, and leader. His positive outlook on life permeates his coaching style. Anyone who has had the honor and privilege of knowing him, will always come away encouraged and feeling loved. 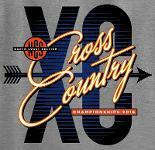 18 Grace Dailey Branson 18:02. 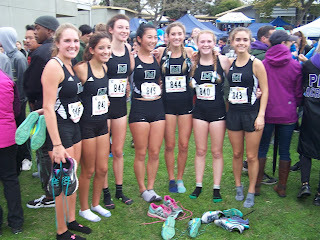 Finish line videos are posted at https://www.instagram.com/milesplitca/?hl=en (Feel free to hashtag runners from each race). I will post photos of the winning teams in a moment. In the meantime, who was the most impressive teams today? Biggest surprise? 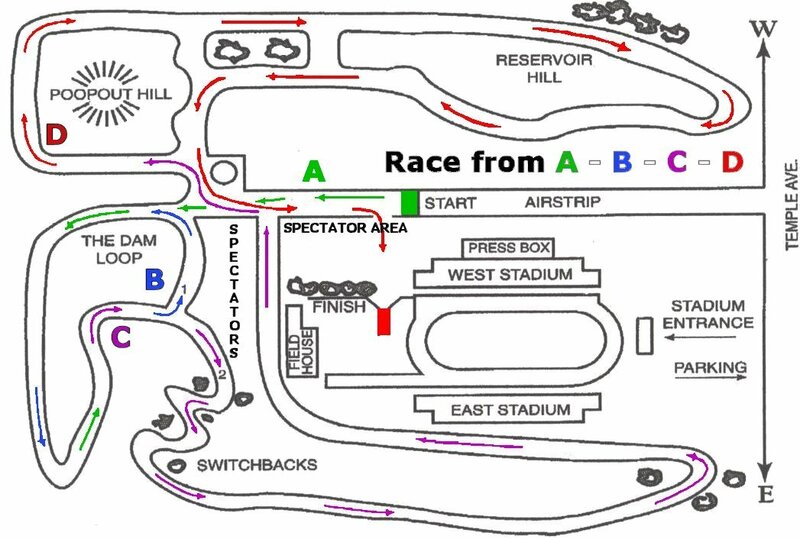 Best race? Most impressive individuals? Sweep for Lowell boys and girls teams. 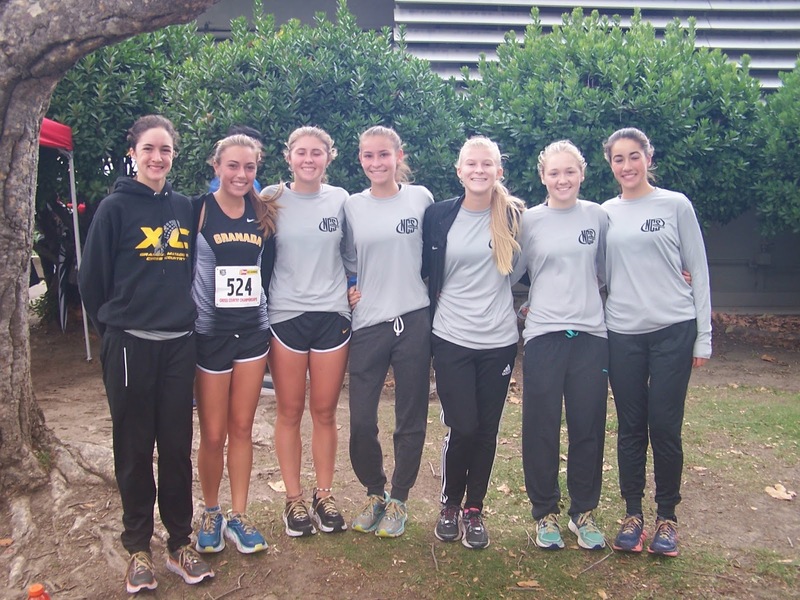 Lowell senior Sierra Brill set new course record on the 5k course by running 17:26. 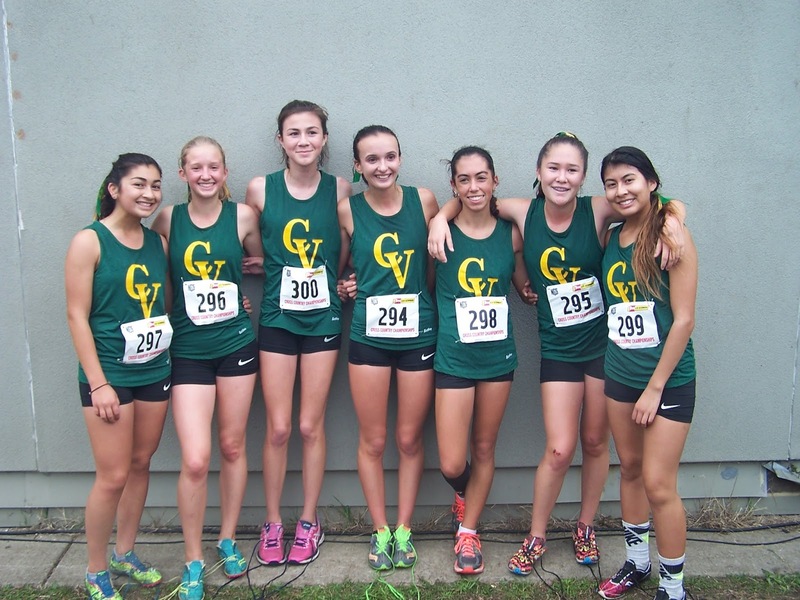 The previous record was held by Kristen Leung of Lowell and set in 2015 at 17:42. Brill won the SF Section 3 out of 4 years. 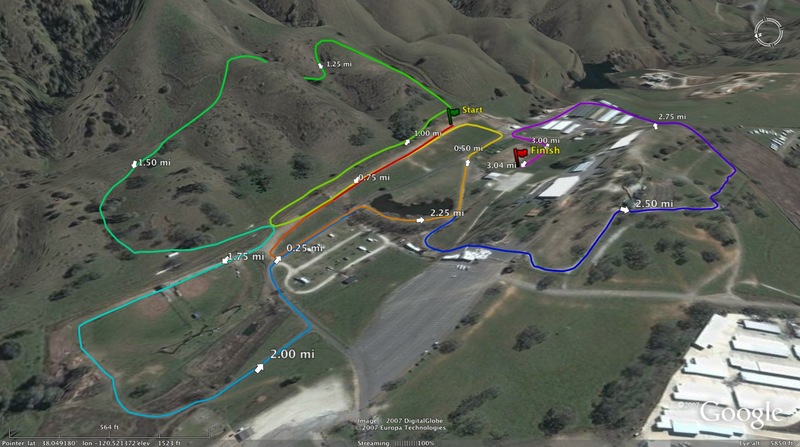 The course did change last year which made it 1:30 to 2:00 faster than previous course. Lowell senior Mikolaj Krajewski won the varsity boys race with a time of 15:48. 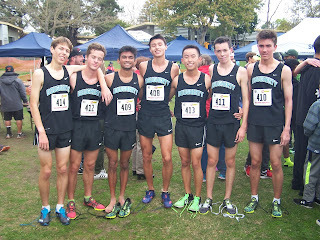 Last year, Salem Bouhassoun of Mission won with a time of 15:36. 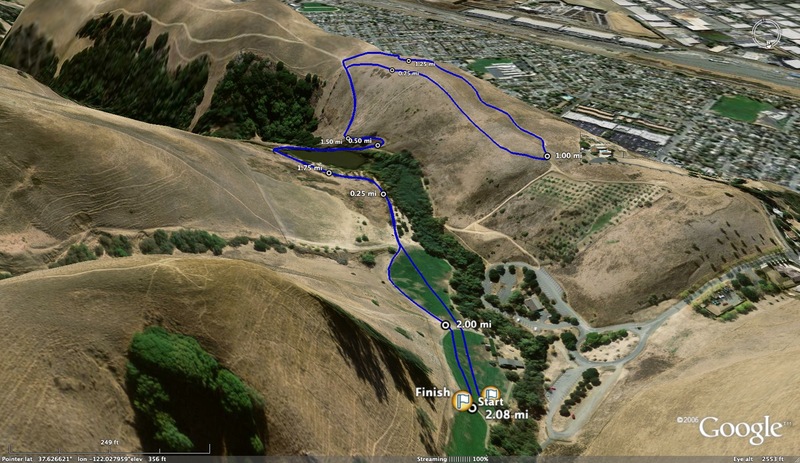 Best estimate is that the current course used for SF Section is about the same as Woodward Park course. The Stanford Invitational is tentatively scheduled for September 30th next year. 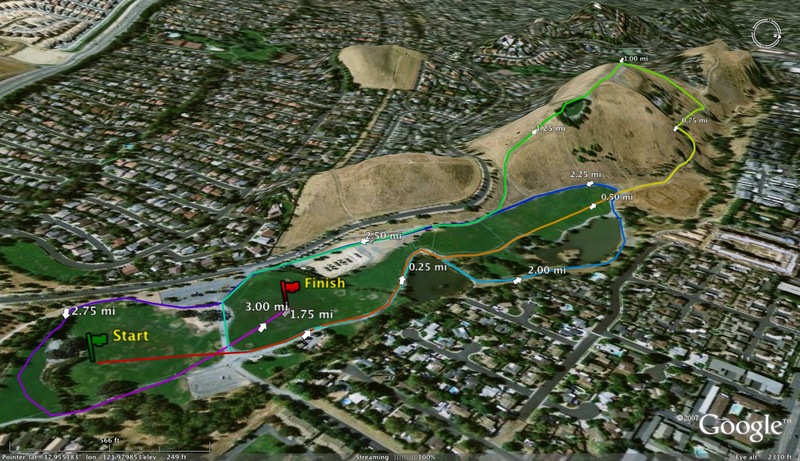 The 2017 CCS meet will be held at Toro Park. Any other news? Share below. Here are my final predictions for Saturday. A more indepth preview will be found in the program sold on Saturday. 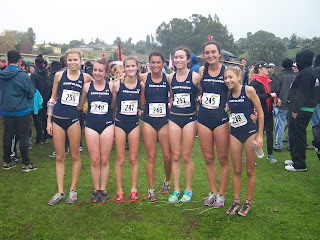 I have to say that this was by far the most difficult NCS meet to predict that I have done since 2006. It seems like every race has 2-3 teams that could potentially win. That is not unusual but what is unusual is of any of those teams win, many of them will not seem like upsets. Looking at the weather report, it looks like the forecast says occasional afternoon rain. Perhaps it might rain after all the races and we will get a better idea in the next couple of days. 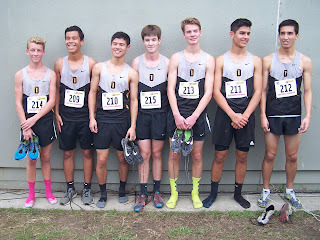 I am finalizing the preview for the NCS meet next Saturday. Here are the updated North Coast Section (NCS) team rankings as of today with the help of many section coaches. I would like to be as accurate as possible so if you see any teams and/or individuals that need to be moved or added below, please let me know ASAP by posting in the comment section below. Feel free to leave your comments about the meet below. If I missed any teams or individuals, please let me know as well. Best of luck to all the competitors tomorrow. Post your league results in the comment section below. 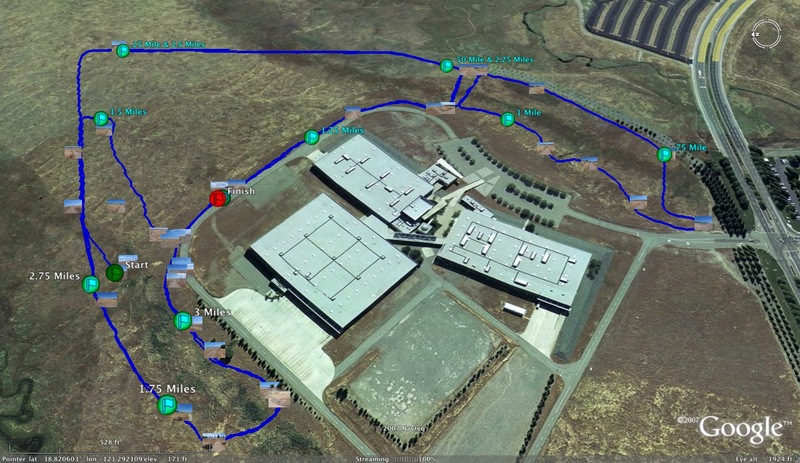 You can post the link or email results to albertjcaruana@gmail.com. NorCal Coaches! 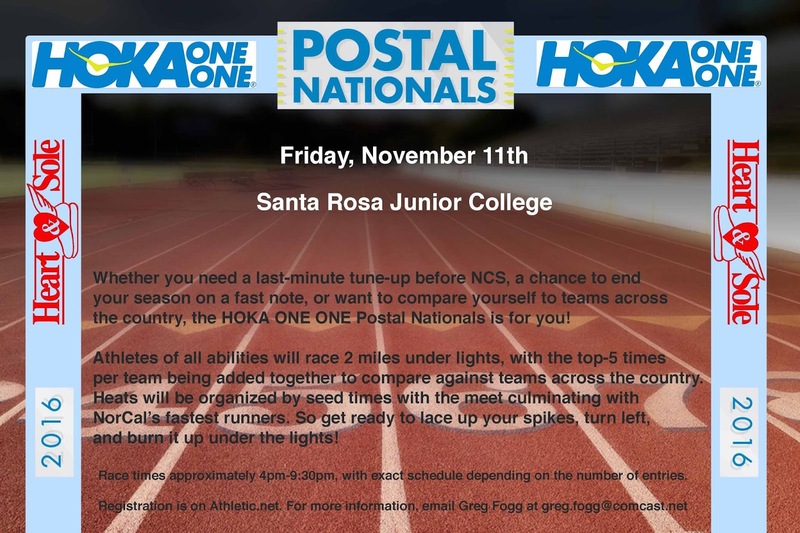 Don't forget to register your team for the NorCal Hoka One One 2-Mile Postal Nationals on Friday. November 11th! 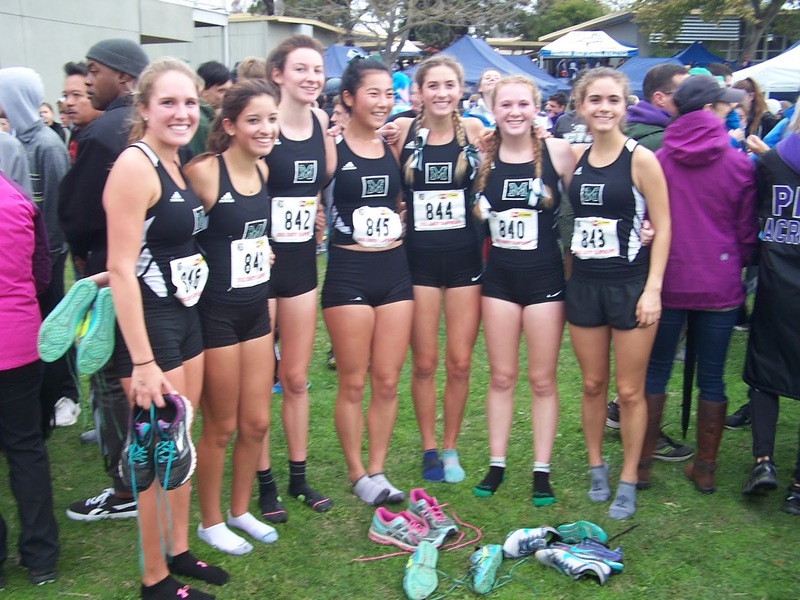 Coming one week before NCS, this meet is the perfect tune-up for your varsity squad, while being a great chance for those not advancing to prove their fitness on the track. 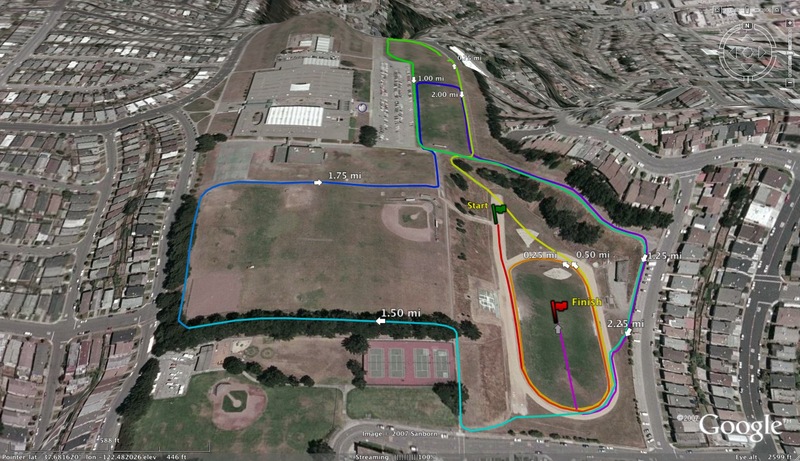 Hoka will be on hand to make sure everyone has a great time, and the competition and conditions (track!) 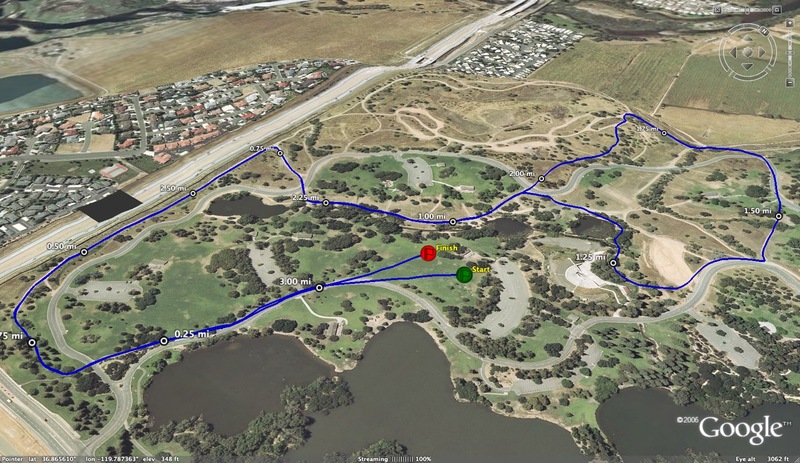 will make sure that your athletes' times are great! Registration closes Monday, November 7th, so make sure to register your team ASAP! 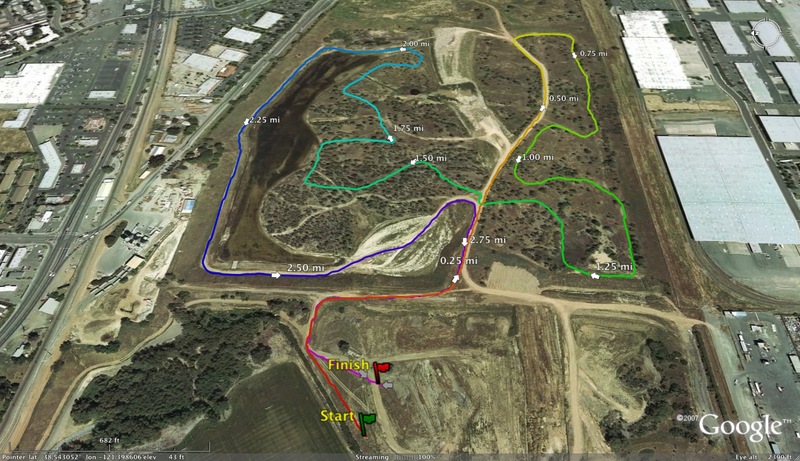 Entries are just $100 per team (or $15 per athlete), and are payable to Maria Carrillo Puma Athletic Boosters at the door. 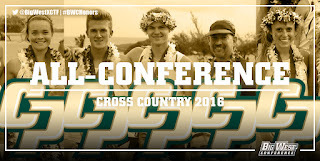 Note the event page is on the Athletic.net Track & Field page, not Cross Country. Plus, as part of Hoka's Postal National competition, you'll get a free pair of Hoka running shoes if you register for the national "postal" competition as well. 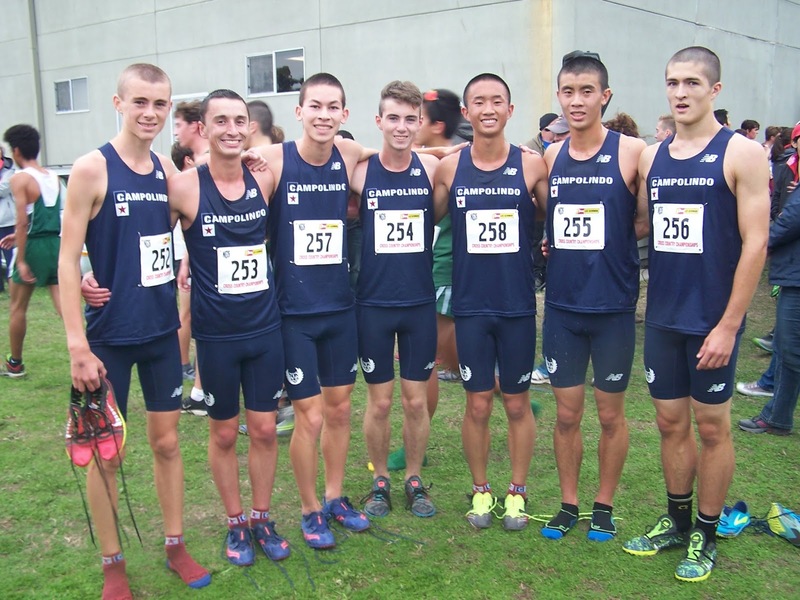 As of 11/2, the 10th place teams in the country - scored by adding the top-5 runners per team - are 50:10 for boys and 61:09 for girls. We know NorCal has many teams that can shatter those marks! 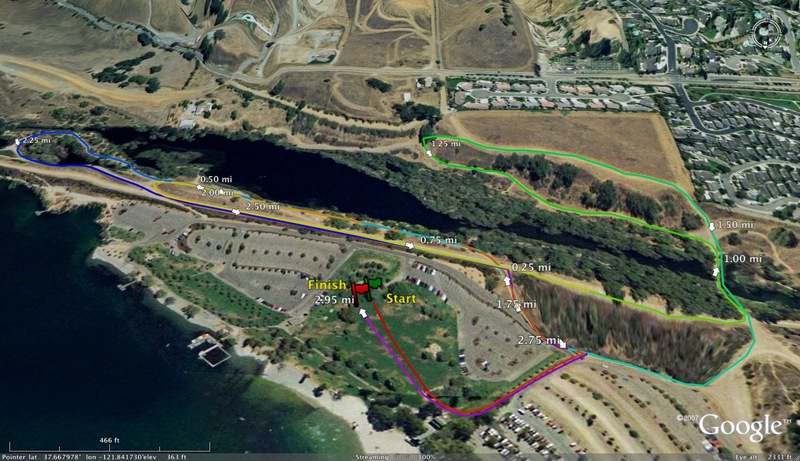 Check the event website for more information, or email Alex at runnerforlife86@gmail.com with questions. Thank-you and see ya at NCS! 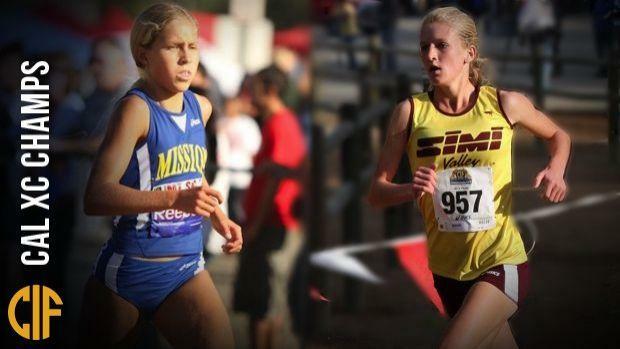 Who is the all-time best XC runners in California history? You can vote for your favorite boys starting tomorrow. Girls voting will begin next week.